Flashes of red, white and blue fill the sky every July as cities from coast to coast put on a spectacular show to commemorate America’s birth. The dazzling fireworks display, draw in crowds of thousands all over the nation to celebrate and watch the dazzling pyrotechnics at work. 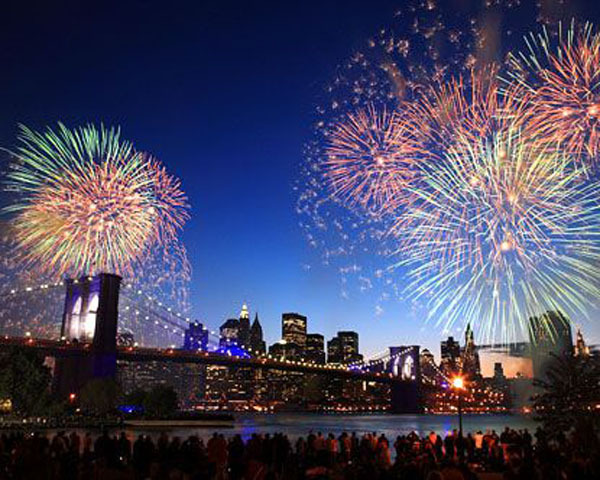 Some cities go above and beyond, to compete for the best fireworks display in the country. Here are the 10 wondrous places to gather your family and watch as the sky explodes with the nations colors in brightest of lights. Macy’s sensational fireworks display is the biggest in the country, with 50,000 effects used in a 25-minute extravaganza, lighting the night sky. 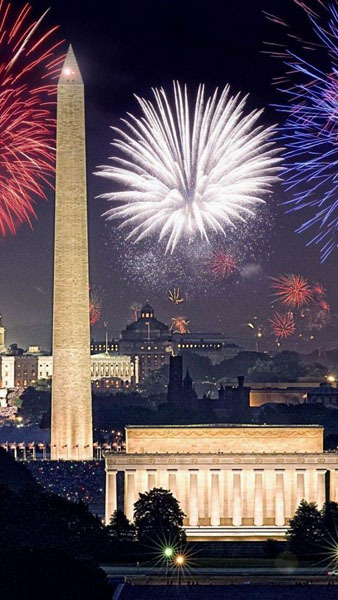 2) National Mall Independence Day Celebration, Washington D.C. It doesn’t get more patriotic than the Fourth of July in our Nation’s Capital. Every year the National Mall bursts with the colors of the country, as spectators gather and watch the glimmering reflections of the fireworks bounce off the reflecting pool in front of the Washington Monument. 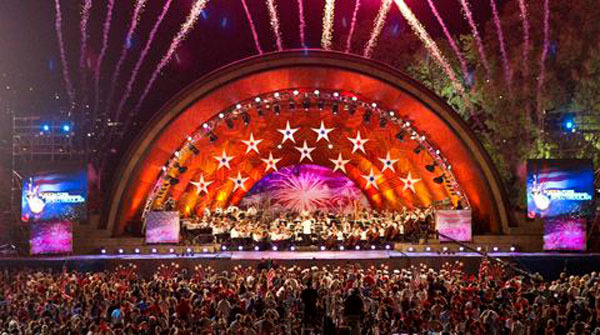 Enjoy some live music, performed by legendary Boston Pops Orchestra, featuring real cannon fire and an array of striking fireworks shot up from the barges along the Charles River. Celebrate the history of this remarkable country in one of its historic city’s. 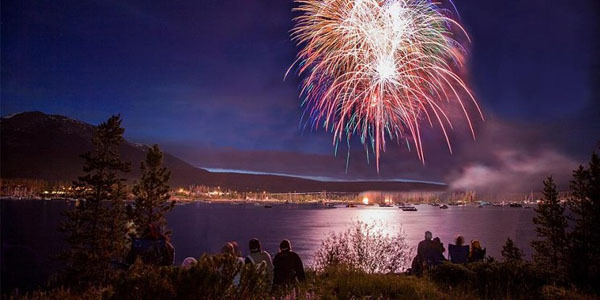 This small town triples in population when Fourth of July comes around. Its epic 25-minute pyrotechnic display, uses 3,500 pounds of fireworks, which provides a thrilling show of colors and lights. 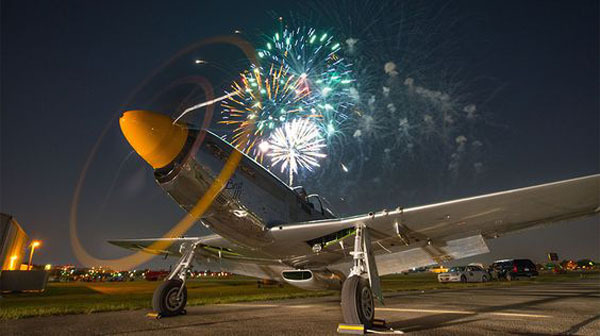 Before all the theatrics though, enjoy an awesome airshow provided by the Cavanaugh Flight Museum, featuring aerobatics and pyrotechnics. 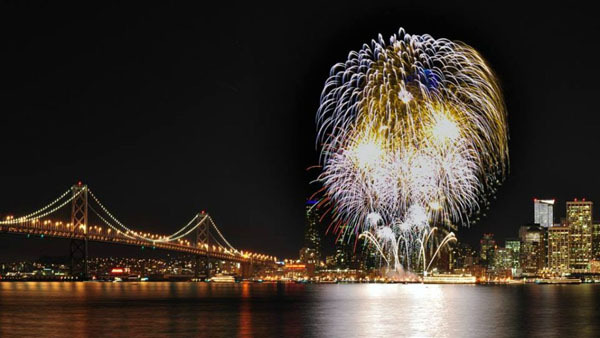 Watch magic come to life on the waters of San Francisco Bay, as the dramatic spectacle of fireworks light up the sky. 10,000 effects in 25-minutes draw in crowds of thousands to come sit by the water’s edge with their families to celebrate the day of Independence. Spend the day enjoying a myriad of activities, which is sure to keep you and the family entertained until the main event. 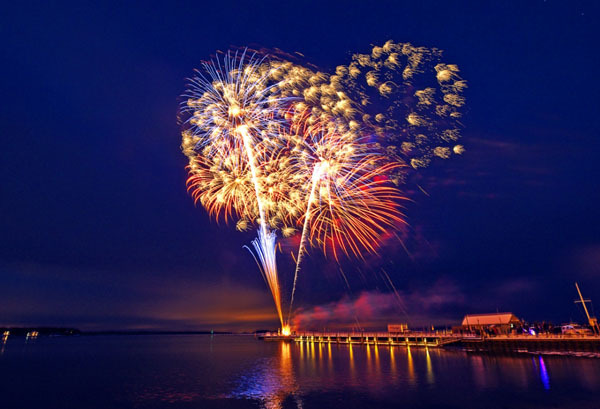 The Stars over Montauk fireworks display draws in massive crowds every year and it is always a sensational highlight. This year is predicted to be better. Reflections that bounce off the crystal clear waters of Lake-Tahoe, with the monumental Sierra Nevada mountains sitting in the background make this particular place one of the most visually arresting sights in the country. Attend ‘Americas Biggest Birthday Party’ in the 1,371-acre Forest Park, in St Louis. 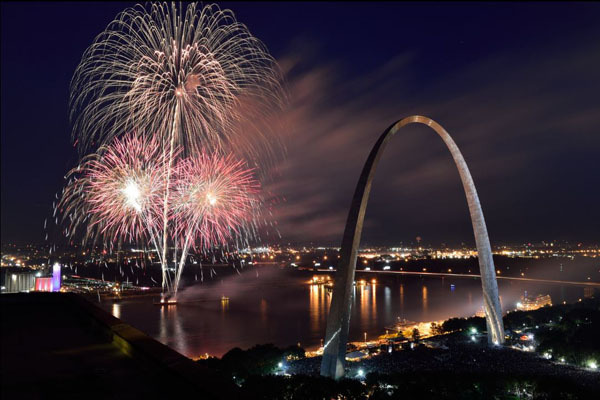 15,000 pounds of fireworks will be released over three night of July (2nd-4th), with performances by Akon, Three Doors Down, and Jake Owen on the Fair St Louis stage. Celebrate Independence Day in the very place the Declaration was signed. 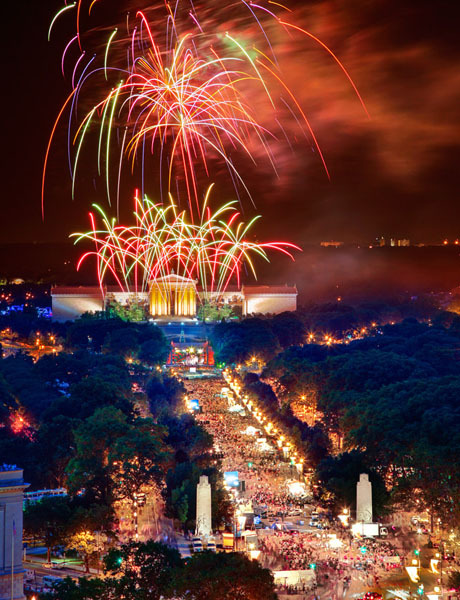 The City of Brotherly Love pull out all the stops to put on a week-long Fourth of July Celebration, including spectacular fireworks display and the largest free concert in the country. Party it up in Nashville, where all the best singers were born. Ring in the celebrations with free live music on two stages, Ascend Amphitheater and The Green at Riverfront Park. 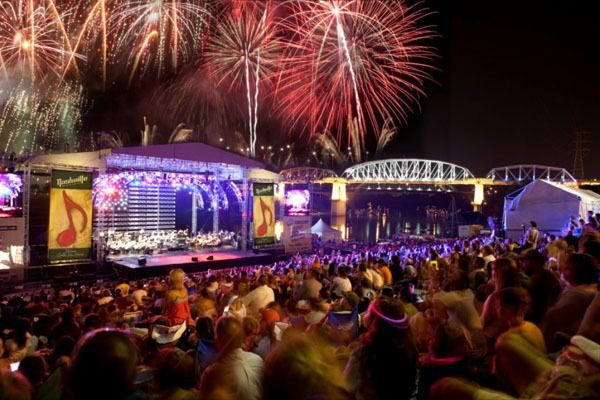 Revel in the magnificent fireworks display, which comes with its very own live background music, by Nashville Symphony.